Harmsco ST-155 3oz.. Pool / spa filter. Harmsco ST-105 3oz.. Pool / spa filter. 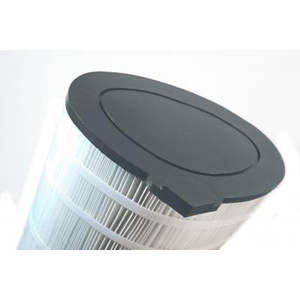 Our replacement grids are designed for Diatomaceous Earth filter applications. All grids are constructed with a reinforced center core for added durability. Seams are stitched with heavy duty, chemical resistant string and are sonic welded to prevent fraying. Make the switch and notice the difference. • 24 square feet through 72 square feet models. • Superior strength and quality. This is the original, pie-shaped Jacuzzi Brothers Tri Clops cartridge. The Excel Filters Tri Clops cartridge eliminates the hassle and expense of using a retrofit kit on your Jacuzzi Brothers Tri Clops filter vessel! These Filter cartridges are made of a premium material that is woven, dimpled, and designed to capture particulates in the flow. Our superior quality media leads to a longer useful life of the cartridge as well as better overall filtration. You will also find Excel Filter Cartridges are easier to clean - which saves time servicing your pool or spa. Sharp, uniform pleating to ensure ease of cleaning. Thermally bonded anti-microbial end caps for durability and increased hygiene. 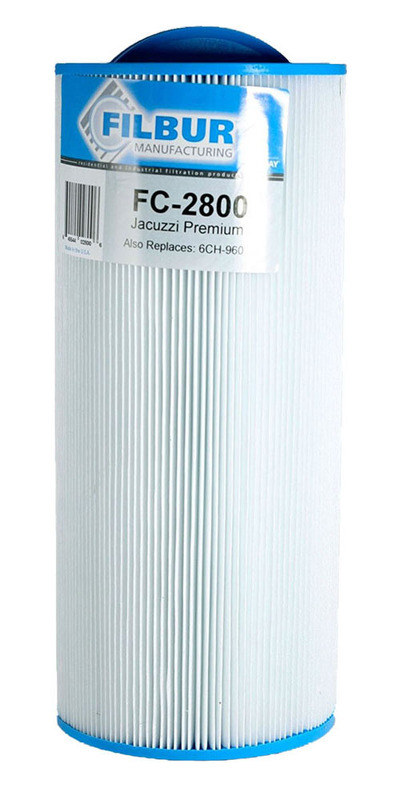 This filter cartridge is also available with Excel Defender anti-microbial media to maximize protection from microbial growth on your filter.